Cragside House and Gardens definitely deserves to be on this list in our opinion. This sprawling National Trust Estate is somewhere you can spend the entire day and still not explore everything. We love the kids play park which is a nice place to spend and afternoon and the labyrinth maze is fun too. The house is simply stunning and there are countless walks along the rivers and amongst the gardens. The lakeside picnic tables are a lovely spot to enjoy a picnic and there are always lots of fantastic events to get involved with (we tried pond dipping a few years ago and loved it). I haven't visited this attraction for myself so can't comment from personal experience however we have attended similar days out ourselves and thoroughly enjoyed getting up close and personal with some magnificent Birds of Prey. I have been reading about their company ethos and have to say I am impressed - we will have to visit soon! We have visited Vindolonda on a few occasions and thoroughly enjoyed our visit. There is lots to learn, see and do. 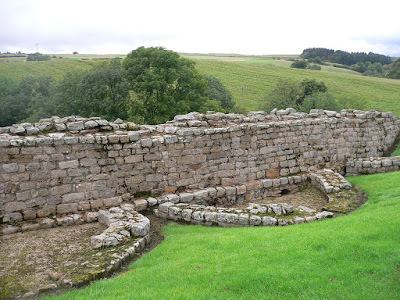 What does put us off visiting more often is the price - it would cost us £38 to visit as a family and while I do think this is an ok price for a one-off, the fact that you can buy a family English Heritage annual pass for £92 which gives you unlimited access to other Hadrian's Wall sites (as well as 400 others) means that when we want to visit Hadrian's Wall, 9/10 we will always choose to use our English Heritage pass and visit either Housesteads or Chesters at no additional cost. Seahouses is a lovely and charming seaside town that we like to visit at least once every year. It's where you can catch a boat to see the Farne Islands (see below) and a chip to Pinnacles Fish and Chips is a must! There are a few seaside trinket shops, gorgeous views of the Northumberland coast and even an amusement arcade for kids. We recommend checking out Springhill Farm for accommodation. In all honesty though I have to say I prefer Amble which shares the lovely views but also has a lovely craft and artisan shopping area by the harbour, an award winning high street and in my opinion better dining out options too. I have visited the Farne Islands on numerous occasions and they really are a Northumberland gem. Perfect for wildlife spotting, we would highly recommend Serenity Tours. 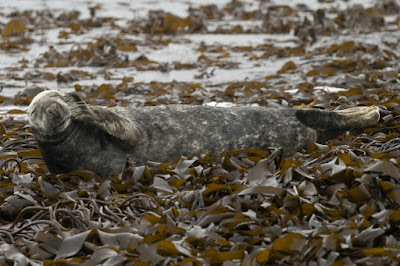 You can spot the famous seals and puffins as well as 23 different varieties of seabirds for an unrivalled experience. 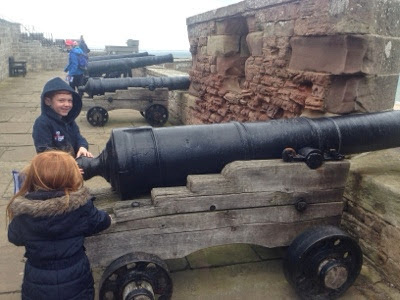 Another top Northumberland attraction that we have yet to visit. We were set to visit one of their family events last year until we had car trouble and couldn't make it! Booooo! Kieider is renowned for it's dark skies and we certainly experienced them during our stay at Calvert Trust. In fact it was so dark we couldn't see our hand in front of our face! It's hard to describe the magic of Holy Island but I would advise anyone who is visiting the area to stop by for a few hours. Make sure you check the tide times beforehand though as the island is completely cut off from the mainland twice daily and you don't want to end up stranded. Lindisfarne Castle is like no other castle I have visited and walking around the Priory really brings history to life. I can honestly say I have never heard of these walls before! After a little research however I have discovered that they are the only example of bastioned town walls in Britain and one of the best preserved in Europe. A walk around the walls takes around 45 minutes which is perfect for us - we'll definitely be taking a trip over summer so look out for a post! Bamburgh Castle is so stunningly beautiful both inside and out and it's no wonder it's used as a location for so many hollywood films. The castle is furnished and I usually walk around in utter amazement. If you love beautiful things, you'll love it here! We are well overdue a visit and hope to return this summer with a picnic. If you pay for entry to Alnwick Castle once, you can re-visit again for an unlimited amount of times during their opening hours throughout the year. A must-visit attraction for kids, we always love joining in with Harry Potter-style broomstick training and braving the Knight's Quest. There are chances to dress up in costume and take part in traditional courtyard games and the Castle is again, a lovely example to walk through. 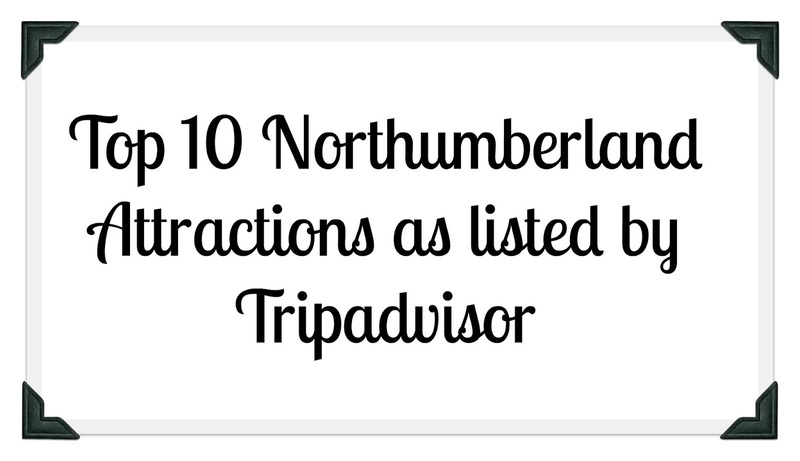 So there you have the top 10 attractions to visit in Northumberland as decided by the Tripadvisor community. Do you agree with them? 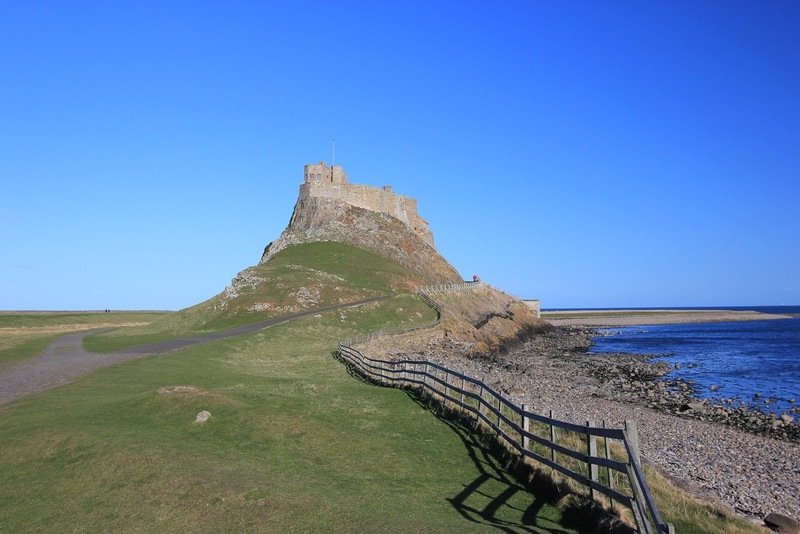 For me there are a few notable exceptions, including Alnwick Garden, Wallington Hall, Warkworth Castle, Craster, Woodhorn and Chester's Roman Fort but I suppose it speaks volumes for Northumberland that we have SO many fantastic attractions that they can't all fit in one list! Great minds think alike! I was literally looking into doing this exact same post but for restaurants in Newcastle. 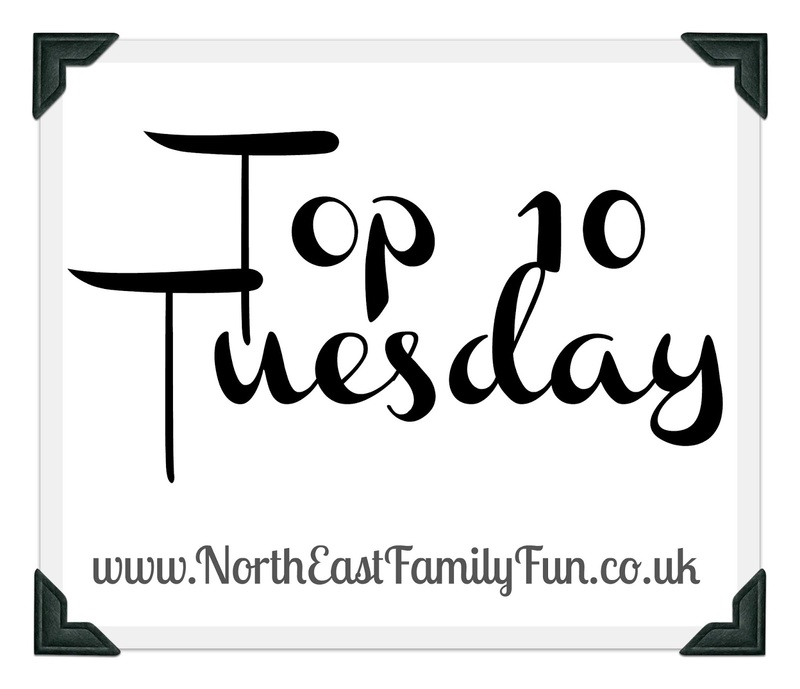 Then I looked at the top 10 and realised I hadn't been to most of them (and hadn't even heard of some of them!) so I scrapped the idea. 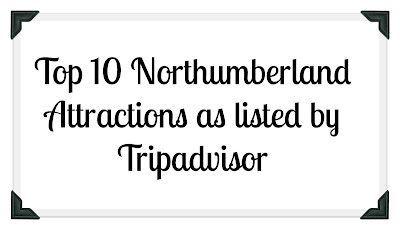 I've only been to 2 of these Northumberland attractions! :( Definitely need a car! I love Cragside as well, will be going back soon. 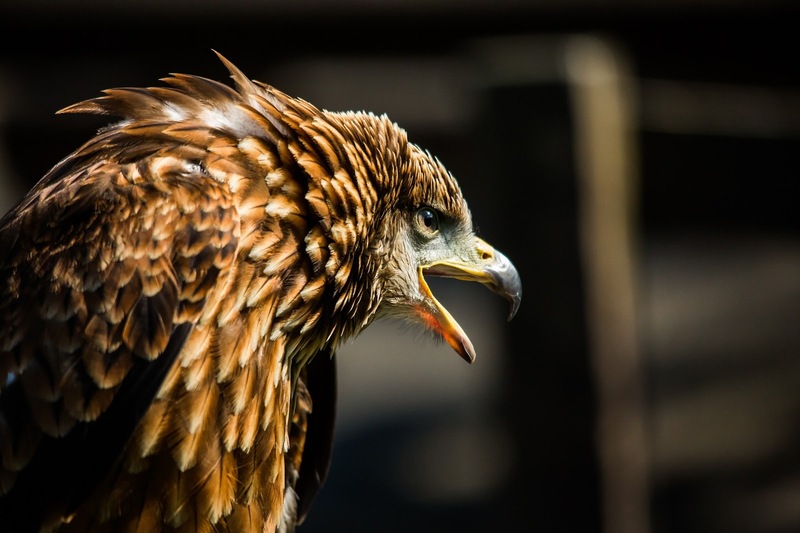 I also really would love to do a falconry day. 6 out of 10 ain't bad, only been here 18 months but have been holidaying for longer so a bit unfair. Kielder must happen very soon, I try and ration the Farne Islands so that they are a treat but to be honest I don't think the excitement will ever wear off. There are lots of places on this list that we'd love to visit, although we managed four of them last time we came. Cragside is #1 in our plans.